These gummy snakes are made right here in the U.S. Each snake is approximately 26 inches long and weighs in at 1 pound! 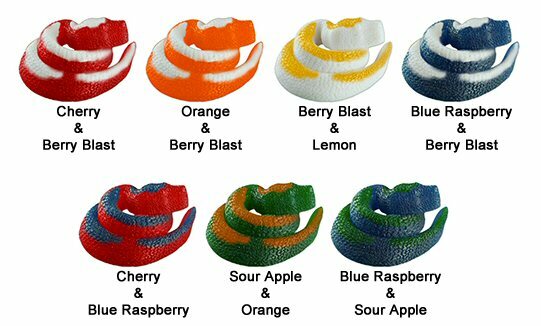 Flavors available are orange & berry blast (orange/white), cherry & blue raspberry (red/blue), sour apple & orange (green/orange), blue raspberry & sour apple (blue/green). These Giant Gummy King Snakes are gluten free and have a 1 year shelf life.